‘‘Tis the season for landing on sod (grass) runways in much more of the country than it was just a few months ago. With the spring and summer weather comes a desire for many pilots to land on runways they don’t get to land on as often, or perhaps, only for a few months out of the year. Here are a few tips that are always good to remember when landing on sod runways. It will take more runway length to take off on grass than it does on a hard surface runway. How much? Well, it depends. Some aircraft provide performance calculation data or charts for takeoffs from other than hard surface runways, but not all. In the cases of those that do, there may be notes indicating that the data provided may only be for a dry grass runway. Even when data is provided, it is worth remembering that it was provided based on the experiences and performance skills of a test pilot in a perfectly performing aircraft. Enough said. Personally, I usually add at least 50% more to any takeoff roll or obstacle clearance calculations when I am going to be operating from a good, dry, level, well-maintained sod runway. If it is anything worse, like wet grass, long grass, or a soggy field, I add more. 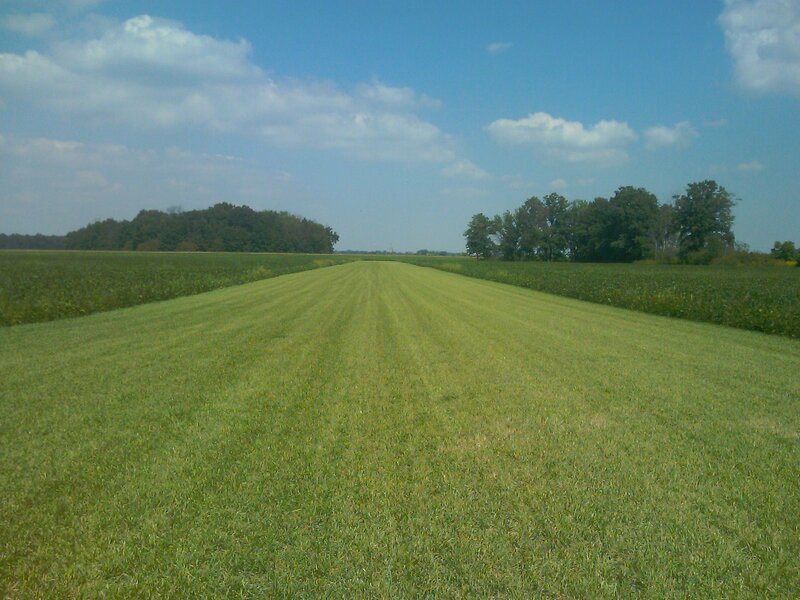 Take the time to carefully consider how much more runway you are going to need when operating from a sod runway. Just because the airport facilities directory information says there is a grass runway doesn’t mean it has been kept in a good, usable condition. While there are supposed to be NOTAMs if conditions are problematic, many airport operators are less than diligent at keeping current information out there about their grass runways. I have gone to airports that were supposed to have sod runways in good condition that have turned out to have holes in the runway, uncut grass nearly a foot long, and even in one case a tractor in the mud about ¼ of the way down the runway because it was that wet. I know that one would have turned out badly had I actually landed there. Flying over the runway before landing, “rolling” it to get a feel for conditions, or a call on the Unicom are all options some pilots use to get a better idea before committing to a landing. The best option I can recommend? A call to the airport operator can go a long way toward determining what the real current conditions are when you plan to use a particular runway. If you have never landed on grass, haven’t done it for a long time, or just want to build your skills a little, get training. Find an instructor who is familiar with non-paved airport operations. Ideally, one that has even flown into the airport you will be using in the type of aircraft you will be operating and get some training specific to the circumstances you will be operating in. Landing on non-hard surface runways does feel different. It can be a strange feeling for those uninitiated in doing so. But it can also be a great time and open a new grouping of airports for pilots to visit that are not always available all year. Some of these are in the backcountry. Others are on islands we only get to visit seasonally. And a few are at home airports but only become seasonal options. So, as we head into the summer season, don’t forget about those great grass runways around the country that many hard-working airport managers and staff have diligently filled the gopher holes in, made sure the grass was cut on, and kept the weeds from the runway edge or light markers so we can visit their airports.